My critic responded to my latest post on the birth pangs of Mary. As usual, his words will be indented and italicized. My friend, you just used the word, "witness." What those Fathers/Doctors stated was not a "witness," but a theological opinion, based on faulty reasoning. They did not OBSERVE (witness) Our Lady having no pains, and it seems awfully unlikely that she volunteered to the first Christians that she gave birth with zero pain. You misunderstood my use of the word "witness." I didn't mean that they were all crowding around Mary when she gave birth, or that they received some special revelation from Mary about it. What I meant was that, with their writings, they are witnessing to a particular belief and tradition regarding Mary. There is no record of such a thing in the scriptures nor in the earliest Church Fathers. Don't speak so soon. There is in fact a substantial record on this point. "[T]he report concerning the child was noised abroad in Bethlehem. Some said, ‘The Virgin Mary has given birth before she was married two months.’ And many said, ‘She has not given birth; the midwife has not gone up to her, and we heard no cries of pain’" (Ascension of Isaiah 11 [A.D. 70]). 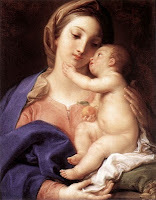 "So the Virgin became a mother with great mercies. And she labored and bore the Son, but without pain, because it did not occur without purpose. And she did not seek a midwife, because he caused her to give life. She bore as a strong man, with will . . . " (Odes of Solomon 19 [A.D. 80]). For more from Scripture, the scholastics, popes, councils, and catechisms of the Church, see The Virginity of Our Lady In Partu: The Painless, Miraculous Birth of Our Lord Jesus Christ. Instead, the Fathers/Doctors whom you mention apparently didn't WANT Our Lady to have suffered in giving birth, so they (mis-)reasoned that she could not have had pain. It is as though they approached the whole matter too "romantically" and not with reason. On the contrary, they have very good reasons for their belief in the painless birth of Jesus. For one, they see it as following from her preservation from original sin, since one of the results of the original sin is pain in childbirth. I realize you think Gen 3:16 means that God simply multiplied a pain that would have already existed, but the analysis from Brant Pitre that I provided seems to refute that claim. You'll have to prove otherwise before you can sell me on that point. Secondly, a painless birth follows from the theological notion of Mary as eschatological icon. If Mary experienced the first-fruits of Christ's redemption in her own Immaculate Conception as the New Eve, it is easy to see why they would believe that she would similarly be able to taste the fruits of the eschatological age described by Isaiah (66:7-8), when women would be delivered from the curse of Eve. The fathers provide other reasons too, which you can read in the quotes I provided. According to St. Gregory of Nyssa, "For as she who by her guilt engrafted death into our nature, was condemned to bring forth in trouble, it was meet that she who brought life into the world should accomplish her delivery with joy" (Homily on the Nativity, 388 AD). According to St. John Damascene, it was fitting that the pain which is typically felt in childbirth would be for Mary reserved for Calvary, when she suffered with Christ to give birth to the Church. I previously explained why a sinless Mary COULD have had pain, just as a sinless Jesus could have had, and did have, pain. I never said that Mary was incapable of pain. I just said she didn't experience the pain of childbirth. As a mother who suffered both at her Son's birth and death, Mary is an excellent role model for mothers of today. She would not be as good a model if she did not suffer in giving birth. That doesn't follow any more than it would follow from her other unique prerogatives that she failed then to be a role model. Is she no longer a role model for us b/c she committed no sin? No. What about because she conceived by the Holy Spirit, or b/c she was a perpetual virgin, or b/c only she can say that her son was divine? All of these things make her unlike any other human being or woman, yet she doesn't fail for all these reasons to be an exemplar and role model for us. Well then, her painless childbirth should not disqualify her either. While I don't the Mary-birth-pang debate as something worthy of a lot of time, I also don't understand why that's something that would really bother anyone (her not having pain). I appreciate your last couple paragraphs about the role model issue. A role model must be relatable, true, but people have to be honest and realize that a role model who is not much different or better at anything than us is pretty useless in such a role. I'm glad Mary is relatable, but I'm so very grateful she was also critically different than me. And I don't feel jealous that I had to go through labor and she didn't. She did a lot for God, a lot more than I have ever been able to do, and what bother should it be to me if she rightfully experienced a couple small rewards for that? She did have to watch her only Son die painfully later on; I'd rather have birth pains than have to do that, personally. 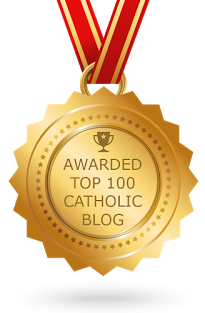 At the top of your November 29 thread (The Birth Pangs of Mary: Part 3), you wrote, "My critic responded to my latest post on the birth pangs of Mary." At the words, "latest post," you provided a link to your November 27 thread (... : Part 2). The truth is that I had not "responded to [your] latest post." If you check, I responded twice to your first post -- on October 7 and November 23. Thus, I did not even read "Part 2" until after I had read "Part 3." Speaking of "pangs/pains," I'll apologize in advance if today's message of mine gives you a few dolors! They cannot be helped, unless I censor myself mercilessly. If you have a weak argument in mind, it is better to omit it, lest you taint your whole essay by appearing to be foolish or careless. To this, you responded, "Don't speak so soon. There is in fact a substantial record on this point. From the early Church fathers:"
At this point, you quoted a passage from "Ascension of Isaiah," including the words, "... and we heard no cries of pain." First, "hear[ing] no cries of pain" does not mean that pain was not felt. It is quite possible that Our Lady made "no cries of pain" on Calvary despite her suffering. Second, and more important, you misidentified the "Ascension of Isaiah" as a work of "one of the earliest Church Fathers" (my phrase, which you were claiming to refute). The "Ascension" is an apocryphal work, written by an unknown person, not by any of the "earliest Fathers of the Church." Next, you quoted a passage from the "Odes of Solomon," including the words, "she labored and bore the Son, but without pain." First, as with the "Ascension of Isaiah," the "Odes of Solomon" was written by an unknown person, not by any of the "earliest Fathers of the Church." Second, you defeated your own purpose with the quoted passage, because it says that Mary "labored." This means that she suffered "labor pains!" What was "without pain," according to the "Odes," was the delivery of Jesus into daylight. THAT moment was presumably painless, because, in keeping with Mary's conjugal virginity, no physical defloration occurred (so said the "Roman Catechism" after the Council of Trent). At this point, you at last quoted from one of the "earliest Fathers of the Church," St. Ignatius of Antioch ... but your quotation was ineffectual and not helpful to either of us, since it did not make any reference to Our Lady and pain. Finally, you quoted from St. Gregory of Nyssa, including the words, "the delivery without pain, the nativity without defilement." First, it was the "delivery" that was painless -- but "delivery" is a separate event that follows after "labor pains." Second, St. Gregory of Nyssa was not one of the "earliest Fathers of the Church." He was writing 350 years after the death of Jesus. If you look at the writings of the men I had in mind (when I initially referred to the "earliest Fathers") -- Ignatius, Polycarp, Justin, Irenaeus, Origen, Tertullian [if he can be included as a "Father"] -- you will not find statements declaring that Our Lady was without pain. So, my friend, as I stated above, "If you have a weak argument in mind, it is better to omit it, lest you taint your whole essay by appearing to be foolish or careless." You did not support your position with a quotation from "the earliest Church Fathers," and your quotations either left open the possibility of labor pains or actually affirmed their presence ("Odes"). May we move onto another sub-topic? In an earlier comment, I stated that my belief that, because they loved her so much, the (later) Fathers/Doctors "apparently didn't WANT Our Lady to have suffered in giving birth, so they (mis-)reasoned that she could not have had pain." In response, you said that they had "very good reasons for their belief in the painless birth of Jesus. For one, they [saw] it as following from her preservation from original sin, since one of the results of the original sin is pain in childbirth. I realize you think Gen 3:16 means that God simply multiplied a pain that would have already existed, but the analysis from Brant Pitre that I provided seems to refute that claim. You'll have to prove otherwise before you can sell me on that point." Well, we don't really have to "prove" anything to each other, as though we were chemists or mathematicians. We can only try to persuade through non-scientific evidence and reasoning. So, I will respond to what you stated. I have taken a look at Brant Pitre's analysis, and (unlike you) I have not found it to be "convincing." He wrote, "While the English translation of Gen 3:16 makes it sound as if Eve experienced pain in childbirth before the Fall ('I will greatly multiply your pain in childbearing' RSV), this is the result of a loose translation; the Hebrew original has no such implication. Literally, it reads 'Great, great, will I make your pain and your travail' (Hb Harebah arbeh itzboneka weheroneka) (Gen 3:16). The Hebrew is simply a superlative meaning 'Exceedingly great.' There is no implication that pain in childbirth was pre-Fall; nor does the text of Genesis in any way suggest that Eve had children before the Fall." Now, why is Brant Pitre unconvincing? I just looked at more than ten Bible translations, and I found what I expected to find: They all have what he would mislabel "a loose translation." The problem is that his translation of the Hebrew is not accurate. The actual, literal meaning is this: "To the woman He said, 'Multiplying, I multiply your sorrow ... .'" The repeated word is verbal (multiply/increase), not adjectival (great). But even if we were to accept, "Great, great," that would not help Brant Pitre. He seems to be unaware of the fact that ancient Hebrew did not have adjectives of the comparative and superlative degrees, so a word was repeated once to denote a higher degree (and repeated twice to denote the highest degree). Thus, "Great, great" (like "Multiplying, I multiply") denotes "(to make) greater" -- as "holy, holy, holy" denotes "holiest." This is why so many (non-literal) Bible translations correctly use variations of the RSV's words: "I will greatly multiply your pain in childbearing." Last time, I wrote, "As a mother who suffered both at her Son's birth and death, Mary is an excellent role model for mothers of today. She would not be as good a model if she did not suffer in giving birth." To this, you responded: "That doesn't follow any more than it would follow from her other unique prerogatives that she failed then to be a role model. Is she no longer a role model for us [because] she committed no sin? No" [etc., with other examples]. You did not read my words carefully enough. I did not say that Mary would "no longer [be] a role model" if she did not suffer in giving birth. Instead, I said that she "would not be as good a role model." All right, my friend. You can have the last word, if you wish. If I have not convinced you by now, I never will, so I will be satisfied with the opportunities received. Anon ... just wanted you to know that I've seen your comments and am in the process of responding to them. I need more time to look into the Hebrew of Gen 3:16 and figure out which would be the better translation. I will comment here again once I have posted my response.